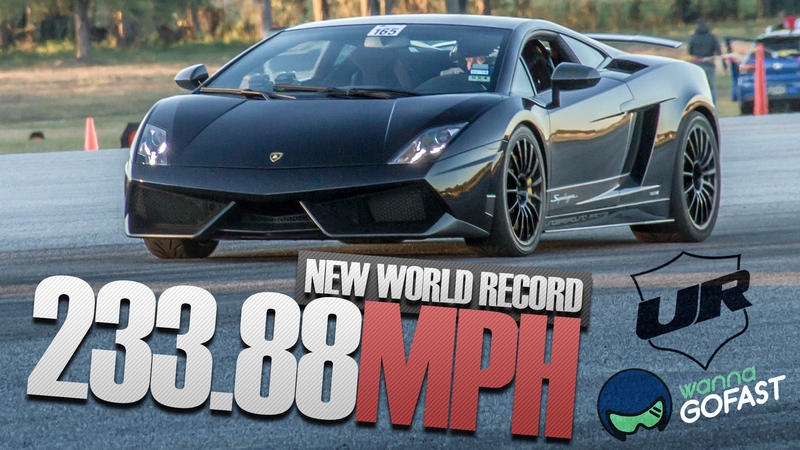 Recently at the Shift Sector Indy Airstrip Attack a new standing half mile World Record of 257 mph was set by Mohammad's Underground Racing Twin Turbo Lamborghini Huracan. This is only the second half mile event this car has competed in. It made multiple impressive passes with its top two passes being 252 and 256.99. A few months ago at it's first half mile event it set a record and was the first vehicle to achieve a 250 MPH standing half mile pass. This Lambo is also the same car that took home 1st place at the TX2K17 Roll Race Nationals. Most impressively this TT Lamborghini Huracan is a true street car with full interior, ac, stereo, navigation and etc. Thank you Mohammad ( Drag965 ) for choosing Underground Racing to build this beast. Also, special thanks to the entire Underground Racing team that made this possible, all the guys at Proline Race Engines, Harry and Precision Turbo, John Reed on the great tuning as always with the M1 MoTeC. Stay tuned for much more from this Underground Racing beast! This year was another great one for Underground Racing with many innovations, event wins, World Records set and most importantly many very happy customers. As this year comes to an end it is with great pleasure that we reveal our newest product for 2017 that will further the capabilities of our race proven twin turbo system as we enter the new year. We introduce you to the Underground Racing V10 Lamborghini CNC Billet Block. Underground Racing in conjunction with Proline Race Engines and our CNC machinist for over the last year have designed a fully water cooled dry-sleeve CNC billet V10 Lamborghini block. To protect our innovative design strategies the picture provided only shows the block at a certain view from a stage of production earlier this year. Underground Racing is very proud that up to this point all of our accomplishments have been achieved using only OEM stock engine blocks. The billet block was not used in ANY of our builds to this point. Accomplishments from this year such as the multiple Standing 1/2 Mile World Records with the most recent being at 247 MPH, the first and only 7 second 1/4 mile Lamborghini and the Texas Invitational King of the Streets Championship with a record setting speed of 220 MPH. Again, all of these we achieved using stock blocks! Considering our Teams proven extraordinary ability to make these engines live using stock blocks we will leave it to your imagination of what is to come during the new year. We would first like to thank Justin Herricks for choosing Underground Racing to build him this monster TT Lamborghini Huracán. Also, want to thank our team here at Underground Racing and some of our vendors and friends from Precision Turbo, Proline Racing and John Reed Racing just to name a few of the people that worked hard to make this process happen. This build was completed only thirty minutes before the truck arrived to take the TT Gallardos to the Texas Invitational so it nearly didn't make it to it's first event in time. 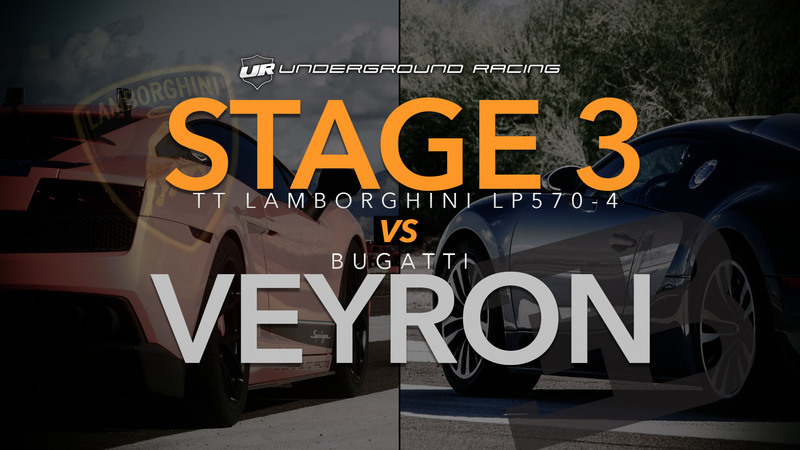 Justin's first build with Underground was his TT Gallardo Superleggera. After being hooked by the addicting power he decided he wanted to build something special and different that absolutely no one else in the world has. His final two choices came down to the Huracán or the Aventador. In the end he decided to do the X Version build on the Huracán. Some of the upgrades include a UR Huracán X-Version turbo system with a custom set of turbochargers from Precision Turbo, our Proline Racing built Huracán X Version long block, billet UR CNC Huracán intake manifold and billet 1st-6th air shifted sequential transmission with a billet differential. John Reed Racing designed the custom MoTeC M1 harness and firmware for full direct injection control, gearbox control as well as traction control and LP610-4 front differential control setup..
Be on the lookout for more videos of this 2,000+ whp Twin Turbo Lamborghini Huracán LP610-4 and other Underground Racing Twin Turbo Huracáns. 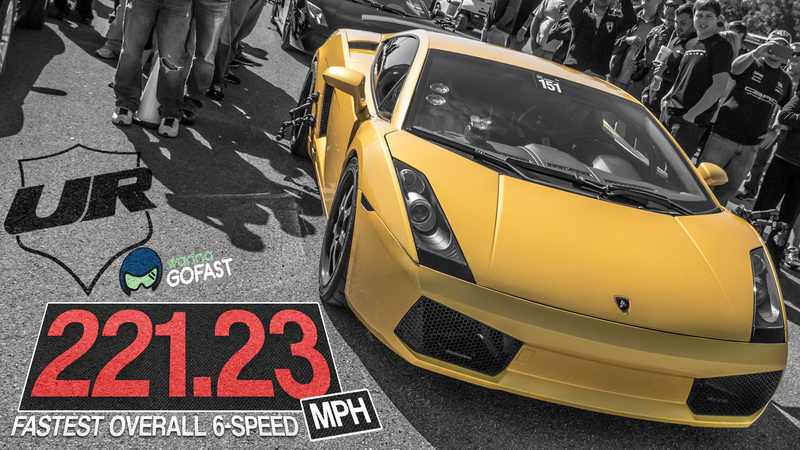 Here is a short video we put together of Richard's twin turbo Gallardo at the No Fly-Zone 1/2 mile roll race event. Richard's Underground Racing TT Superleggera is a Stage 3 and makes 1,250 WHP using race gas. Notice on the race vs the Bugatti Veyron, Richard actually waits nearly two seconds to go after the Bugatti takes off from a roll to ensure a fair race and still has no issue leaving it in the dust. It truly gives a great perspective on how fast these TT Lamborghinis really are. Thank you to Omega Motorsports for providing pictures and Richard for the video footage. Lamborghini has once again raised the bar with the creation of the Huracán LP 610-4. Hidden behind the new astonishing look of this Lamborghini lies a plethora of new technology. Technology like the AWD system that features an electronically controlled front differential similar to the Aventador, electro-mechanical power steering (EPS), dynamic steering (LDS), V10 engine configuration similar to the Gallardo featuring dual injection, launch control and a 7 Speed LDF dual-clutch transmission. These new features combined with the high definition instrument displays and perfected interior make for an exciting and fun video game like drive every time you get in the driver's seat. Now, how do you make such an amazing car even better? Easy, just add Underground! Mullet Wins 6 Speed Challenge at TI. 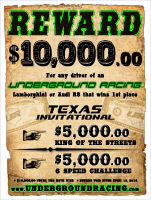 Huge congrats to Jason "Mullet" for winning the 6 speed challenge in his Underground Racing TT Gallardo. Also congrats to Stacy and Tag for 2nd and 3rd place in their Underground Racing TT Lamborghini's. We put together a video with a few of everyones runs. Congrats to our customers Vinny and Pete for finishing 1st and 2nd at the Pocono roll race event in their Underground Racing TT Gallardo's. Both cars are stage 3 setups with race heads. I will make it to the next one. Looked to be a lot of great cars there. I never realized how big the event has gotten! Here is a short video of Dustin's Underground Racing 2R TT Gallardo at TI. This was his first time at the event. Dustin did a hell of a job racing his street car with the big boys of the TI event. He even beat me! Keep in mind that Dustin's car is a true street car that is ODB2 compliant. It also uses the factory Egear control system. This TTG could have left Texas and drove to California and back home to Georgia. He was also running on R888 street tires through the entire event, like the rest of his teammates. Huge thanks to our team and John Reed Racing. I want to thank John Doe JR for letting us build him this monster and for choosing Underground Racing to take on this project. This setup as has just about everything we offer. Full billet transmission upgrade, billet differential, custom carbon street clutch, Full Billet intake, Fully built engine with the 2R system that will put down 1160+ whp on 93 octane and 1800+ whp on race gas. John plans to start this car out on low power while doing some competing, once he gets a feel for it he will turn it all the way up, where it should be. Expect some videos from this TT Gallardo. Here is a picture of the latest tech shop at Underground Racing. All of the R&R takes place here at this shop. The tech shop holds about 2/3's of our projects, mostly being TT Gallardos. We will post a picture of the Fabrication/Tuning and Race Development shops soon. The big winner of the Texas Mile event on March 26-28, 2010 was Richard Holt for piloting an Underground Racing Twin Turbo Gallardo Superleggera 250.1 MPH with an E-Gear transmission. The first few days at The Texas Mile proved to be grueling as the Team experimented on both Gallardos with different turbos and suspension settings achieving a top speed of 220mph by the half mile. When the Supra's and Ford GT's started getting faster each run on Saturday it was time to stop and prepare them for full attack mode and be ready for a Sunday kill. On Wednesday, November 4, PlayStation hosted the 7th annual Gran Turismo (GT) Awards in Las Vegas, taking place in conjunction with the 2009 Specialty Equipment Market Association (SEMA) Show. Underground Racing had the privilege of displaying their 1,100 HP twin-turbo Lamborghini Gallardo LP560-4 in the Mobil 1 booth at the Sema Show. After submitting the car for consideration in the GT Awards, it won the 2009 Gran Turismo Best European Import Award. Underground Racing makes there presence known in the Mobil 1 Booth #24466 at SEMA. 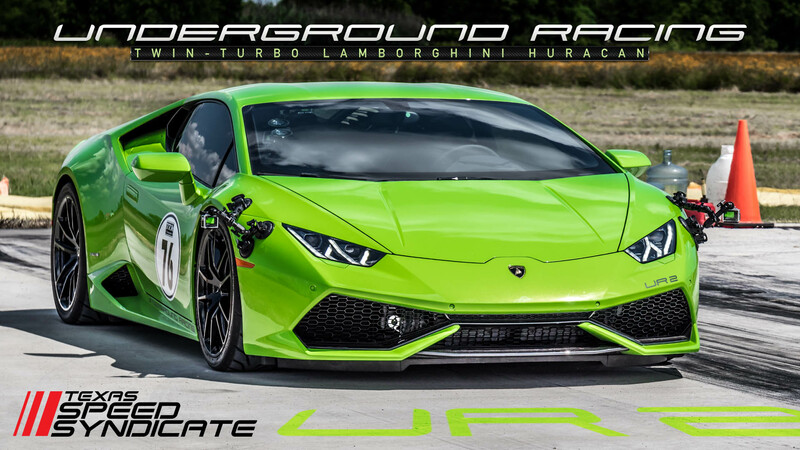 Sign-up to receive our latest news and know what's next from Underground Racing. How many turbochargers are on a Twin Turbo Lamborghini?